NorthEast Plastic Surgery are experienced in otoplasty procedures, providing you with experience and guidance you can trust and the results you’re looking for. 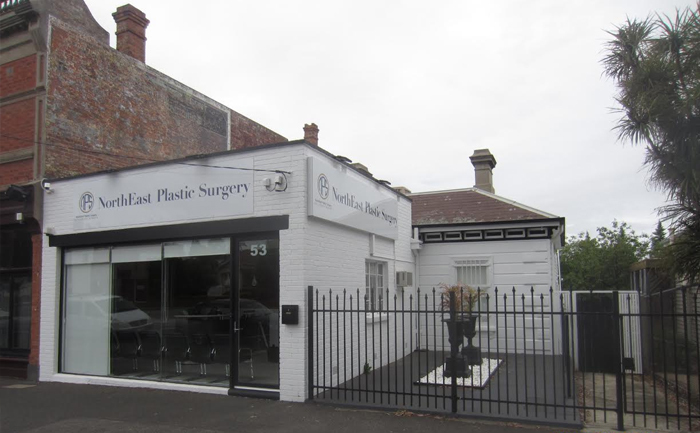 Contact our Melbourne clinic to book a private consultation with one of our renowned surgeons. Otoplasty, sometimes known as ‘bat ear’ correction, is a surgical procedure performed to address prominent ears or ears that ‘stick out’, as well as addressing and correcting any other developmental abnormalities of the ears. The procedure can have a remarkable impact on a person’s appearance, improving self-esteem for those who experience self-consciousness or anxiety over the appearance of their ears. Before undertaking any surgical procedure, you will need to book a private, one-hour consultation with one of our surgeons. The purpose of this consultation will be to assess your expectations and advise you on the reasonable outcomes and potential risks of your surgery. Otoplasty is a procedure commonly considered during childhood and adolescence and parents will need to be present with their child during their consultation, so that they can be made aware of the reasonable outcomes and any possible complications. Your surgeon will cover any potential limitations to achieving the desired outcomes, including the shape of cartilage structure and any development abnormalities of the ear which may be identified. Otoplasty is normally reserved for patients who are over the age of eight and who can display a level of maturity to comply with a strict aftercare process. Your surgeon should be made aware of any relevant medical history, including tendency of bleeding, bruising, and history of scarring. Any developmental issues will also need to be discussed, as well as any psychological or psychiatric issues. Surgeons also need to be informed of any medications taken, or allergies to any anaesthetic agents, dressings or medications. Your surgeon may require you to undergo further medical assessment, including blood tests, before approving you for surgery. You will also be advised to abstain from any blood thinning medications and other types of medication that may cause complications during or after surgery. These include the oral contraceptive pill, as well as over-the-counter pain relievers such as aspirin and Nurofen, and some herbal supplements like fish oil and ginseng. If you are a smoker or use products containing nicotine, such as patches or gums, you will need to cease smoking six weeks before your surgery and continue to abstain for six weeks following your surgery and avoid nicotine products for two weeks pre- and post-surgery. While we do not anticipate any complications with your surgery it’s important to understand that there are risks associated with every surgery. Risks associated with otoplasty include abnormal scarring, wound complications such as wound breakdown, infection and bleeding, which may result in inflammation of the ear cartilage, known as chondritis. Any further surgery required to address these complications will carry its own set of risks. Revisional surgery may be required in cases where there is asymmetry of the ears or residual deformity. Approximately five percent of patients who undergo otoplasty require some form of additional surgery. The cost of your initial consultation with NorthEast Plastic Surgery is $175 ($225 for weekend consultations). You may be able to claim part of this sum from Medicare, provided you have a referral from your GP. If you are interested in finding out the out-of-pocket costs before you book an appointment, call us on 03 9088 5000 or contact us through our website. As part of your private surgical consultation, your surgeon will discuss the costs of your procedure, after completing a medical assessment and gaining an understanding of your desired outcomes. We do not advertise set prices for any of our procedures on our website as in part, our fees reflect the complexity of your surgical requirements. Your procedure will be performed under general anaesthetic administered by a specialist anaesthetist in an accredited hospital. A list of the hospitals we work out of is available on our home page. During your procedure, your surgeon will place incisions on the back of the ear, extending from the top of the ear to above the earlobe. Your surgeon will discuss the extent of the incision necessary during your consultation, as well as how your ear cartilage will be shaped to improve the look of the ears. Once the procedure is complete, your surgical wounds will be repaired using internal stitches. A head bandage is also applied, which is replaced with a headband one week after surgery and worn for a further week. Following a period of monitoring in the recovery room, patients will be discharged on the day of surgery and given pain medication and antibiotics. It is important you can access medical attention easily following surgery, so as to alert your surgeon to any complications such as a high temperature exceeding 38 degrees celcius or excessive bleeding. Your head should remain elevated with pillows for seven days following surgery to minimise bruising, which will decrease five to 10 days after surgery. Do not be alarmed if swelling and bruising increase over the first three to five days, as this is common. Sensation in the ears may also be affected, but will return to normal in the next few months. You can return to mild physical activity, such as walking for exercise, two weeks following surgery, commence running at six weeks and normal exercise including swimming at eight weeks. You can expect to return to school or work after two to three weeks post-operation. It’s important to note that the final result of your surgery may not fully appear for many months. In some cases, there may be prominent scarring for up to 18 months following surgery. Whilst your surgeon will guide you on swelling and scar management, scarring is different for each patient. As we pride ourselves on respecting the privacy and discretion of all our patients, we do not display before and after photos on our website. We are happy to provide before and after images during your private consultation with one of our surgeons, who will take you through a range of images provided by patients who’ve agreed to their discreet and private use.